Anesidora 1.01 – Listen to Pandora on your Mac. Next story DeskCover Pro 1.1 – Make your Desktop less distracting. Previous story Cardhop 1.1 – Manage your contacts. PandaBar 1.3.0 – Play Pandora music from the menu bar. Anesidora 1.10 – Listen to Pandora on your Mac. 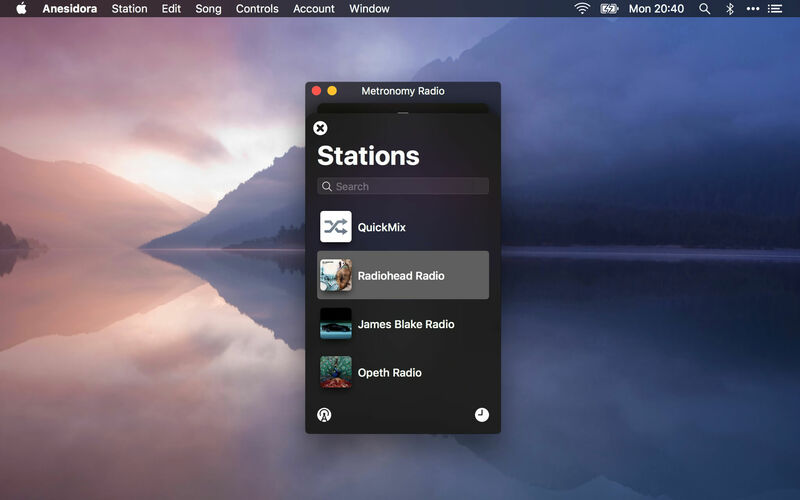 Anesidora 1.02 – Listen to Pandora on your Mac.